Located in one of Britain's most beautiful settings! Arrange your conference, meeting or corporate event in one of Britain's most wonderful settings, in the magnificent North York Moors National Park. Ox Pasture Hall Hotel is located in 17 acres of gardens and grounds, only 2 miles from Scarborough. The hotel gives access to some of the most beautiful and diverse landscapes in Yorkshire and the UK. From the cliffs and beaches of Scarborough, to the rugged landscapes along the Yorkshire coast. Ox Pasture Hall is a 4 star luxury hotel, which has a wealth of experience when it comes to running events. Here you will find a friendly and professional team, all committed to helping plan and manage your event down to the very last detail. Our friendly team will provide all the help and support you need to ensure your conference or meeting is a success from start to finish. Our experience and consistent high standards, combine with a quality of care, service and unforgettable location, that epitomises the benefits of this wonderful hotel, for your next conference, meeting or corporate event. Whether it's a small meeting or full conference, Ox Pasture Hall Hotel offers a range of excellent facilities, combining modern comfort, with an unforgettable setting and 17 acres of grounds for your team building event. Ox Pasture Hall is also perfect for seminars, dinner dances, gala balls and other corporate and charity events. We offer delegate packages to suit all budgets, although, if you would prefer something totally different, we would be willing and happy to quote for your exclusive individual requirements. Choose from two delightful conference rooms or the newly purpose built Dovecote Suite. We know, from the experience of many conferences and events at Ox Pasture Hall in the Yorkshire Moors near Scarborough, that this is an environment in which business people and delegates feel relaxed and inspired. Our experienced event coordinators offer all the support you need, in advance and on the day. We will ensure everything goes smoothly so you can relax and concentrate on your conference, meeting or corporate event. The peaceful and relaxing surroundings help you to remain focused. Whether you are training, presenting, fund raising, showcasing, thanking or simply celebrating, we’ll help you to achieve your objectives in style. We pride ourselves on delivering a professional, quality and cost effective service. For residential conferences we have a great selection of bedrooms to suit most budgets, from our classic doubles right up to our luxury suites for that executive meeting, where your client only requires the best. 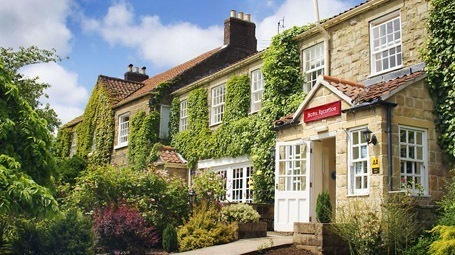 Ox Pasture Hall Hotel is surrounded by tranquil countryside, but easily accessible by road and rail and ideally located for those wishing to extend their stay and explore the Yorkshire Coast, Scarborough and North Yorkshire.